You Too? How Do You Describe Your Writing? Welcome to our second post in the ‘You Too?’ series, where I pose a writing related question and leave it to you to answer it. Last month we were talking about non-writing days. This month I want to ask you something even more personal. 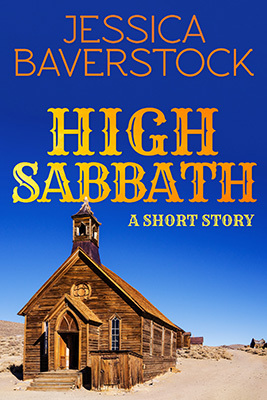 I’m currently working with an editor on my collection of short, short stories called Baverstock’s Allsorts. (Keep your ears pricked, there will be more news about that soon!) The other day I noticed something in one of his e-mails. While I’d be the first to admit that some valiant little words have lost their lives in the process of a good edit, I realised that for me the word ‘battlefield’ seemed like an unusual word to use. The more I thought about it, the more I discovered the words to describe how I felt about the manuscript. To me, the edit was more like a good ‘exfoliation.’ I loved the process of removing words and reworking sentences until every single line read smoothly. It was ‘invigorating’ and ‘enjoyable’ to make these changes. So it got me thinking about the words we use to describe our writing. Do you find yourself using combative expressions when approaching the page? Do you ‘tackle’ a rewrite? ‘Slash’ words while editing? Or do you find yourself using nurturing words like ‘coaxing’ characters into life and ‘unearthing’ plot points? Do you think of yourself ‘spending’ time writing or ‘investing’ time writing? I’m interested to hear your thoughts on the subject! How do you describe your writing? What effect do those words have on the way you experience your writing? Categories: You Too? | Tags: Creative Writing, Creativity, Creativity's Workshop, writing | Permalink. I often do an outline for each draft. I plan on doing a character arc and plot arc combination for each character, so that I can very roughly figure out what their character arc leads them to do in the main plot. Forgot to include how I describe my writing. I call it like going into a room, with a map that’s not currently updated. It’s a semi-discovery process. You only know the rough picture of the room, but aren’t sure how the room will be used. What a great way to describe your writing! It sounds like your writing is an adventure, with maps and discoveries!